It’s officially the year of Star Wars: Episode IX, and while we still have 11 months to go before it finally arrives, we may have just gotten our best (official) look yet at the upcoming movie, courtesy of none other than stormtrooper FN2187. But before you get too excited, it’s just a photo of the actor’s hands, though it’s still pretty exciting. John Boyega (Finn in the Star Wars sequels), shared a cryptic photo on Instagram, showing only his hands after what looks like a particularly grueling day on the set of Star Wars: Episode IX. As you can see in the image below, they’re covered in dirt with a drop of blood on his left thumb. Is that Finn’s blood? 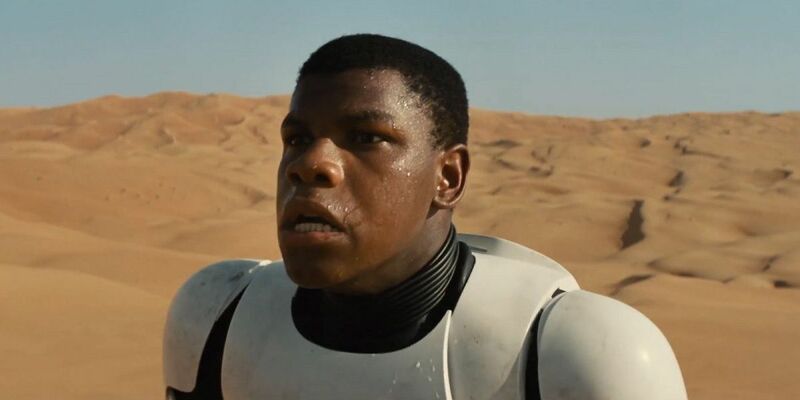 Or just Boyega’s (meaning it won’t be in the movie)? Or is it someone else’s blood entirely? There’s no way to know, though Boyega says the entire team worked hard to create something “visually crazy.” That sounds like an epic battle, but it could really be anything. There’s already a lot of pressure on Star Wars: Episode IX. This movie has to provide closure on the entire Skywalker saga (episodes I through VIII) while also giving new characters like Finn, Rey, and Kylo Ren satisfying conclusions of their own. Plus, it needs to respectfully handle Carrie Fisher’s death without the use of CGI. Now we can add a stunning “visually crazy” spectacle to the list. Finn joins Star Wars: Battlefront II in this The Last Jedi season trailer.